Taotronics have also branched out into the Home and Lighting department and that, in my opinion, is a great thing. “Why?” you might ask. 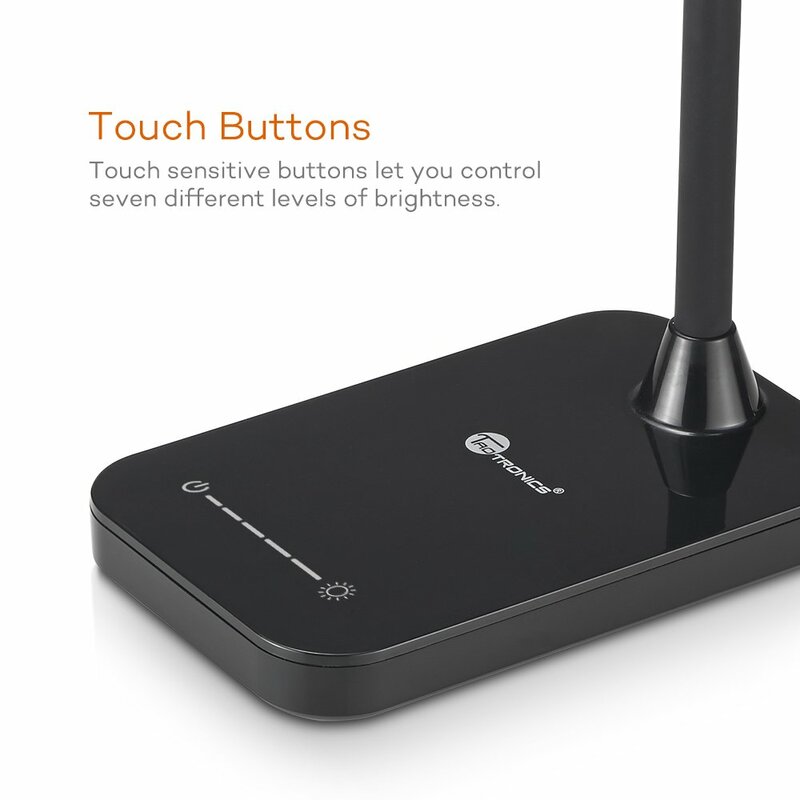 The answer is simple – Taotronics, throughout their presence in the market, have offered stylish, well-built and durable products. And I doubt these will be any different. With this new range various gadgets have been introduced including table lamps, LED strip lighting, home humidifiers, plant grow lights, etc. 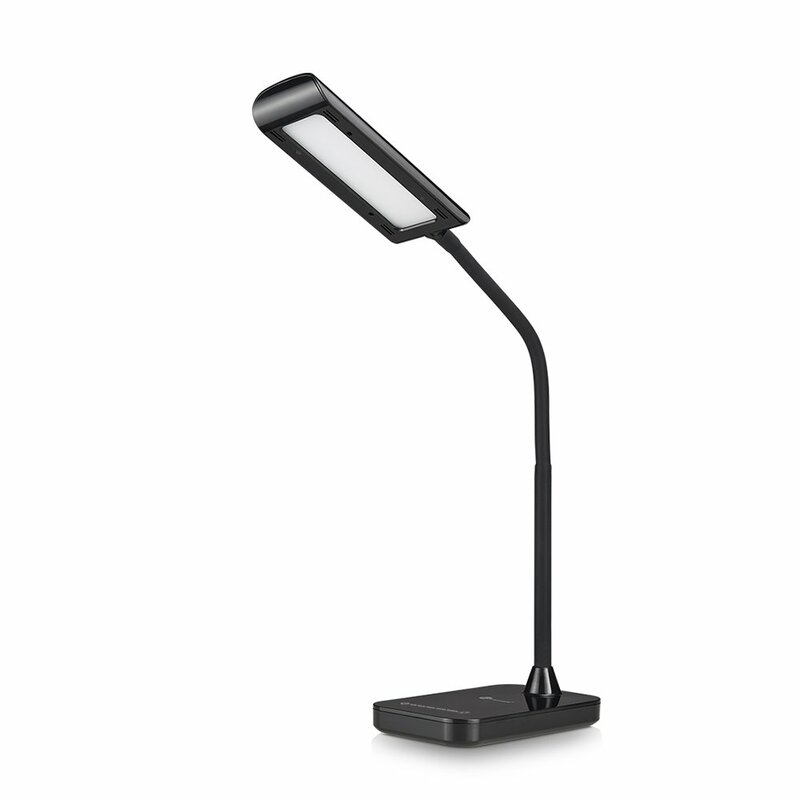 Today I’ll be writing about the TT-DL11 Desk Lamp. This stylish lamp features a convenient goose-neck attached to a sturdy, weighted base. On the top side of the base the brand ‘TaoTronics’ is written, under which one can find the ‘Power Slider’. This allows the user to turn on and off the lamp as well as dim or brighten it according to required brightness. The light is produced by low power LEDs which on full brightness only consume 7W and are covered by an ‘Eye Protection Panel’ which makes sure that the light emitted is soft and easy on the eyes. 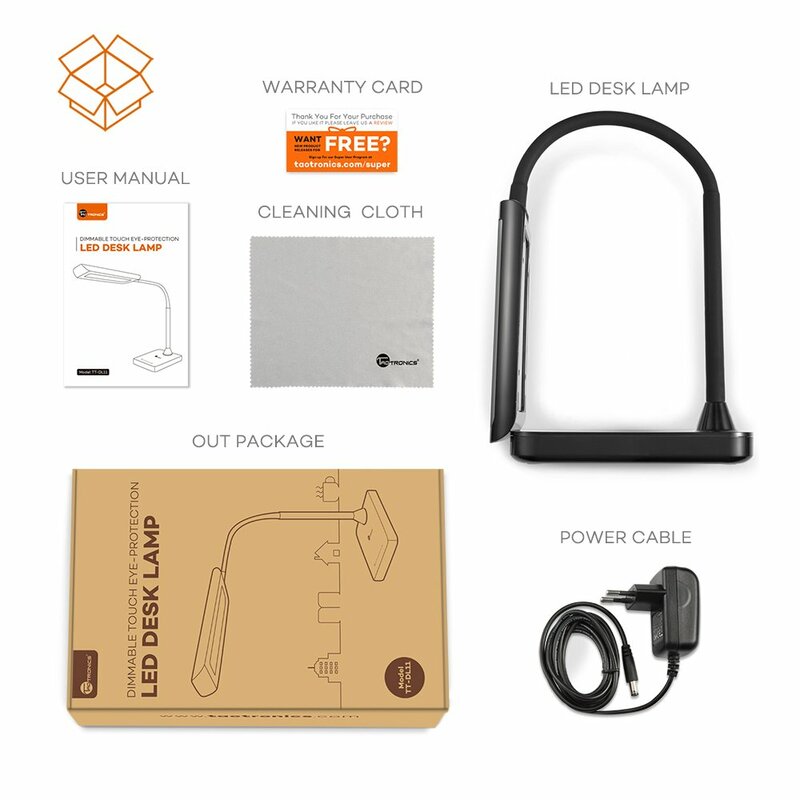 This light does not flicker nor product ghost light which allows users to read or work for longer without the eye strain that conventional light bulbs create. The minimalist design on the box gives the product a modern touch. Carefully packed inside one will find the LED desk lamp, the power adapter, a user manual in multiple languages (not that one is needed in this case), a cleaning cloth and a warranty card. I’ve been using this desk lamp for about 2 weeks on my (previously) poorly lit desk. I’ve been getting less headaches and I am generally feel less eye strain at the end of the day. This could of course be to any other factors, but I’d like to believe that this desk lamp had something to do with it. I definitely will. The adjustable brightness and goose-neck ensure that this lamp can be customized to suit anybody’s needs and as with all Taotronics products it’s priced very competitively.